Berga was accredited as a Family Holiday Destination in 2014. Comprising the municipalities of Avià, Capolat, Castellar del Riu, Berga and Cercs, the area includes the impressive Serra de Queralt chain of mountains, providing the opportunity to enjoy a range of activities such as walking, mountain biking and paragliding. 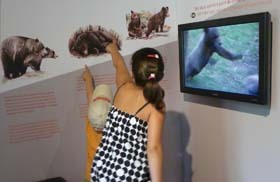 Also on offer here are numerous trails and routes for outings; water sports on the La Baells Reservoir and active and adventure tourism; museums and cultural spaces suitable for all the family, such as the Casa de la Patum, an information centre on the La Patum festival, El Berguedà Nature Information Centre and the mining settlement at Sant Corneli (Cercs), where you will find the Cercs Mine Museum. Accredited in 2016, La Vall d’en Bas consists of a group of small, picturesque villages: Sant Esteve d’en Bas, Sant Privat d’en Bas, Els Hostalets d’en Bas, Joanetes, La Pinya, El Mallol and Puigpardines. 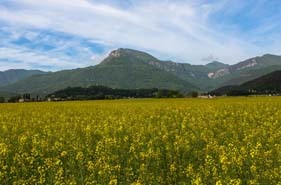 Together with the neighbouring municipality of Les Presses, it is the most family-oriented destination in the Garrotxa. This valley, one of the most fertile in the Pyrenees, is ideal for family holidays and for enjoying donkey trails, the Via Verda greenway and walks through the Pressa Tosca Park and for learning about how cheese is made. Accredited in 2015, the Vall de Boí was awarded the Family Holiday Destination label in recognition of its extensive range of tourist attractions and amenities, among them the group of eight Romanesque churches and a shrine built between the 11th and 12th centuries, now recognised by UNESCO as World Heritage. With regard to the natural environment, the Aigüestortes i Estany de Sant Maurici National Park offers numerous active and nature tourism activities all year round, with itineraries suitable for all tastes and abilities. The spa at Caldes de Boí and the Boí Taüll Resort for skiers are two further attractions to be found in the valley. Mention must also be made of the many fairs and traditions observed in this area, among them the falles (fire festivals), the high-mountain cuisine based on organic meat produced in all the animal husbandry farms in the valley, the network of paths extending for more than 60 km and the many activities for all the family on offer here. 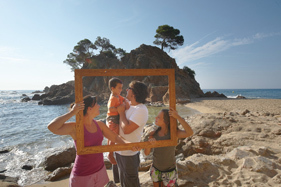 Certified in 2013, Les Valls d’Àneu was the first destination in inland Catalonia to be awarded the FHD (Family Holiday Destination) label of approval. Formed by the townships of Esterri d’Àneu, La Guingueta d’Àneu, Alt Àneu and Espot, the destination received this endorsement thanks to its superb natural setting, which includes the Aigüestortes i Estany de Sant Maurici National Park and the Alt Pirineu Natural Park, top-quality tourist facilities, such as the Espot Esquí winter sports resort, and a huge variety of activities for children. 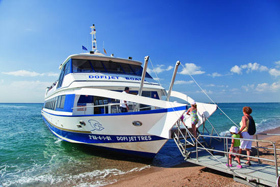 The main tourist attraction of Roses, which was awarded FHD status in 2009, is its beaches. 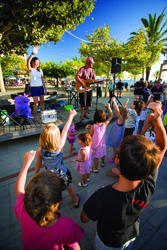 Nevertheless, the town has a lot more to offer for families with children, such as outings to the Cap de Creus Nature Park, birdwatching on the Aiguamolls de l’Empordà Natural Park, the Aquabrava water park, the children’s club on the beach, the go-karting circuit, miniature golf course and the possibility of enjoying various water sports. Blanes was the first town on the Costa Brava to receive FHD recognition, awarded in June 2007. In addition to its more than 4 kilometres of beaches, the town is well known for its Marimurtra and Pinya Rosa botanical gardens, as well as the International Costa Brava Fireworks Competition, held every July, which internationally renowned pyrotechnical companies take part in. Certified as a new Family Holiday Destination in 2014, this is a modern, cosmopolitan, dynamic town with a high-level offering of commerce, accommodation and leisure activities. Sport, culture and major events share centre stage with a seafront façade of long beaches and little coves just waiting to be discovered. Nature lovers can practice hiking, mountain biking, and water sports and activities, combining sport, tourism and leisure. 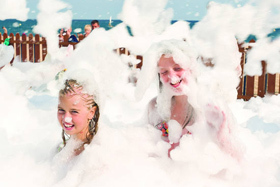 Free-time entertainment is the ideal complement to family holidays: amusement parks, multiplex cinemas, bowling, water park, children’s beach club and guided cultural tours. Awarded FHD status in 2007, Torroella de Montgrí – L’Estartit is famed for the Medes Islands, a veritable marine paradise for scuba diving, kayaking and for taking boat rides on ships with windows in the hull of the craft so that you can observe the bottom of the sea. In addition, L’Estartit – Illes Medes Yacht Club offers numerous activities such as windsurfing, sailing, cycling and horseriding. Lloret de Mar was declared an FHD in 2010. The town has a long string of beaches complemented by other attractions, including Water World park, Arbreaventura – an outdoor adventure park with zip wires, bridges and complicated walkways – and Gnomo Park – the world of gnomes set in a forest of Mediterranean pines. The rampart walks and the Santa Clotilde Gardens laid out in the early 20th century add to the town’s appeal. Calonge – Sant Antoni was awarded FHD status in 2010. The town has a number of beaches suitable for families, as well as a fascinating medieval old quarter, the prehistoric dolmen of Puigsesforques and Valentina Tower, a watchtower dating from the 16th century, where the rampart walk begins. Tennis & padel fans can play at Piper’s Tennis Club. And horse lovers will be able to ride at the Hípica Unicorn stables. 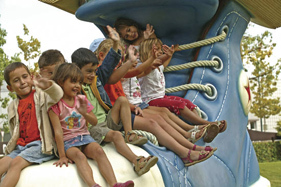 Accredited in 2014, Sant Feliu de Guíxols offers a wide range of attractions and amenities for families, among them the Badia de Sant Feliu and Sant Pol beaches, which have a Mini Club for Children and a crèche for babies. Active folk will enjoy the Camí de Ronda (coastal footpath), the Ruta del Miradors, which takes in vantage points offering spectacular views, the bicycle route on the Via Verda (greenway) and the Via Ferrata of Cala Molí, the only one over the sea in Europe. The municipality also has the Espai Carmen Thyssen, a gallery space with an Espai del Petit Artista, an area given over to very young budding artists. The monastery with its pre-Romanesque façade with horseshoe arches, known as the Porta Ferrada, is open to visitors, as is the Shrine of Sant Elm, which is on the tourist train route. The Porta Ferrada International Festival of music, theatre and dance, one of the oldest in Catalonia, is also held here in summer. 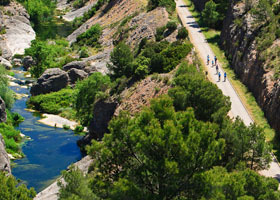 Sant Pere Pescador, accredited in 2016, surrounded by the Aiguamolls de l’Empordà Natural Park and skirted on one side by the Fluvià River, offers the perfect place for enjoying sporting activities, as well as numerous walking and cycling routes that wend their way through fields of fruit trees. A wide range of accommodation is available here, including small hotels, houses set in rural locations and seven campsites ranked among the best in Europe due to their award-winning quality, innovation and services. The gently sloping, fine sandy beach, with 7 km of unspoiled dunes, is a unique spot for families. Its natural characteristics have made it one of the top places worldwide for water sports. 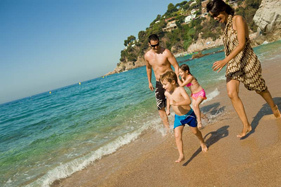 Even though it received official recognition in 2004, Calella’s tradition as a family holiday destination dates back to the 1950s. 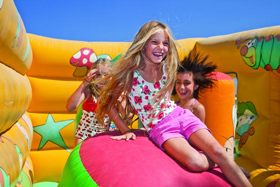 The municipality can offer families supervised enclosed areas with inflatables, water games and sand for very young children. During the Renaissance Fair (in June), events are organised for children so that they can learn about how people lived at that time. 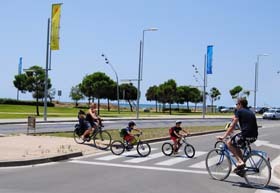 Castelldefels was awarded the Family Holiday Destination label in 2015. Its attractions include a fine sandy beach that stretches for more than 5 kilometres and which has been given every award in recognition of its quality, among them the Blue Flag; the Serra del Garraf chain of mountains, where visitors can go for walks, play sports and enjoy all kinds of leisure activities associated with the natural environment; Castelldefels Castle; and the Olympic canal, the Canal Olímpic de Catalunya, where you can go rowing and canoeing in calm waters. 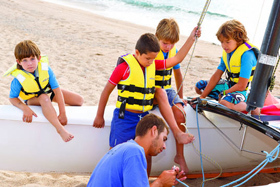 Situated between the sea and the mountains, Pineda de Mar (awarded FHD status in 2005) offers families a whole host of attractions, including Blue-Flag beaches, interesting outings and cultural, sporting and leisure activities. 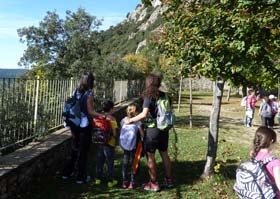 The nearby Montnegre-Corredor Natural Park has routes designed for walkers and mountain bikers, while the Tharrats Foundation invites children to learn about the world of drawing and the graphic arts. Santa Susanna was awarded FHD status in August 2003. It offers a wide range of types of accommodation, restaurants and similar facilities for families, as well as an extensive array of leisure and entertainment activities, among them the Montnegre Mountain Bike Centre, the Activ Natura park and Marineland water park in the neighbouring town of Palafolls. Malgrat de Mar was recognised as an FHD in 2007. The town has more than 5 kilometres of beaches, the longest of which, Astillero Beach, has a beach library and children’s club. 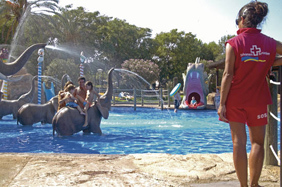 The Francesc Macià Public Park has an area with children’s playground attractions covering 40, 000 m2. Certified in 2015, Vilanova i la Geltrú has numerous attractions, such as its 6 kilometres of fine sandy beaches, and services and other amenities suited to visitors: a wealth of heritage, notably the houses built by Indianos (people who returned from the Americas having made their fortune), romantic gardens and impressive fountains; over 700 commercial outlets; and a cuisine based on the local farming and fishing traditions and on quality produce. Awarded FHD status in 2003, Salou can accommodate more than 55, 000 tourists and has a wide range of beaches with services for families. 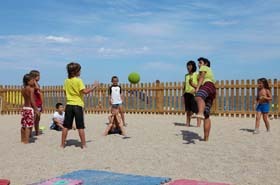 The largest beach in the municipality, Llevant Beach, even has a 200-m2 crèche. 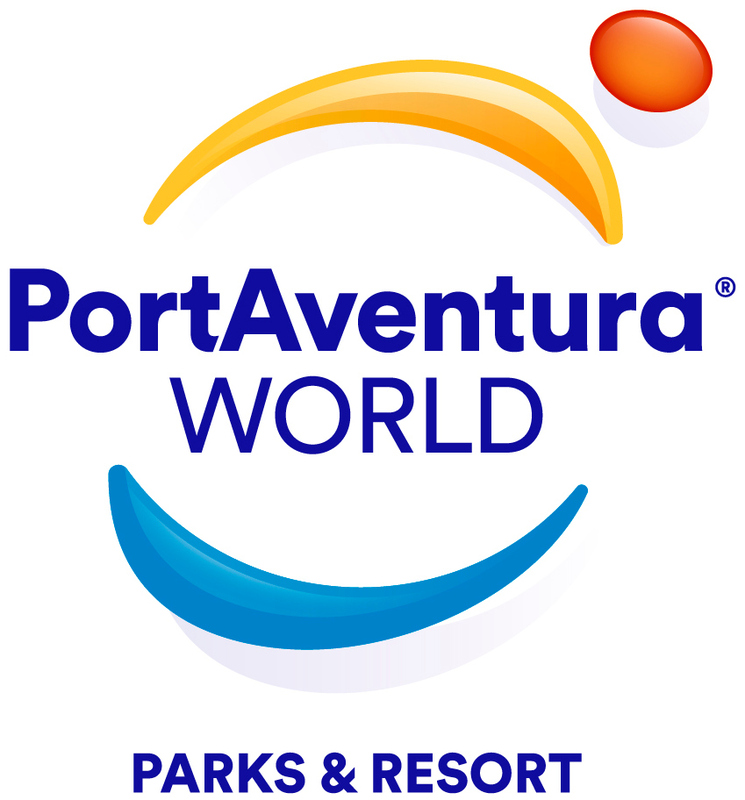 In addition to the beaches, the municipality’s other main attraction is the PortAventura theme park, the biggest in Catalonia. Cambrils was awarded FHD status in 2007. Families mainly come here for sun and sand holidays, though they are increasingly being drawn by the town’s culture, gastronomy, traditions and sports, as well as the complementary services nearby. Another of the local attractions is the Cambrils Yacht Club. Calafell was given FHD recognition in 2006. Its iodine-rich beaches were the first sands in Catalonia to obtain ISO certificates and Blue Flags. 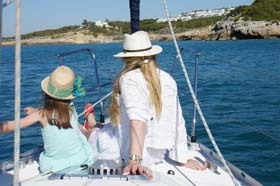 The town has a number of attractions for families, among them a Children’s Club, nearby mountain-bike routes, activities for very young children in the Iberian citadel and traditional local seafood cuisine. El Vendrell obtained FHD certification in 2015. The town has a notable array of museums (among them the Vil·la Casals-Pau Casals Museum, the Deu Museum and the Àngel Guimerà House Museum); 7 kilometres of peaceful beaches awarded Blue Flags and ISO 14001; a packed programme of musical events, in particular the Pau Casals International Music Festival, held every summer; an important gastronomic heritage (it is the home of xató, a rich salad dressed with a sauce based on hazelnuts and almonds) and wine tourism; and a considerable number of spas. In addition it is on the Landscape of Geniuses Route. Muntanyes de Prades was in 2014 the second inland location to be awarded the Family Holiday Destination seal. Consisting of the municipalities of Alcover, Arbolí, L’Espluga de Francolí, La Febró, Capafonts, Mont-ral, Prades, Vallclara, Vilanova de Prades, Vilaverd and Vimbodí i Poblet, it encompasses a protected natural area, the Poblet Natural Site of National Interest, and a chain of mountains that runs inland along the coast, the Prades Mountains, which are ideal for outings with children. 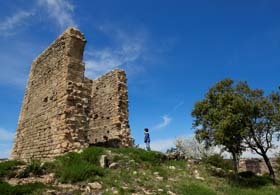 Its two historical sites, the red town of Prades and Poblet Monastery, and its range of museums are added attractions. More active visitors will enjoy the routes it offers for walkers, mountain bikers and horse riders. The GR 7, the GR 65 and the GR 175 long-distance footpaths and their variants connect the various municipalities in the area with the Cistercian Route, the Costa Daurada and inland Catalonia.. This municipality, awarded FHD status in 2011, is divided into two main areas: Vila-seca, the old town, with charming streets, historical remains and a wide range of shops; and La Pineda Platja, the seashore area with more than 3.5 kilometres of beaches suitable for families. 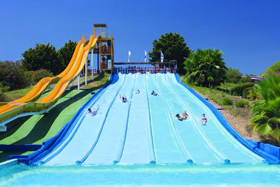 Other attractions nearby are the PortAventura theme park and the Aquopolis water park. Certified in 2017, the Family Nature and Mountain destination ‘Els Ports’ covers a large territory constituted by eight municipalities gathered around this mountain range, declared a Natural Park in 2001 and a part of Terres de l’Ebre Biosphere Reserve , declared by Unesco in 2013. The destination combines both the charm of a mountain area altogether with villages and towns of an extensive historical, architectural and cultural heritage. 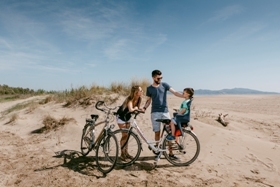 In ‘Els Ports’ you can practice a wide variety of activities of nature and active tourism suitable for the whole family, with more than 80km of signposted routes, plenty of flora and fauna species to observe and a network of refuges and spaces to connect with nature. In the municipalities, you can walk through the historic and monumental centres, visit museums or historic buildings, savour the varied gastronomy of the area or enjoy a wide offer of both commercial and tourist services.